Summer is here once again, it's time to hit the beach or get ready for some adventure. At the heart of Central Luzon lies a new and enthralling escape for you and your loved ones to discover. 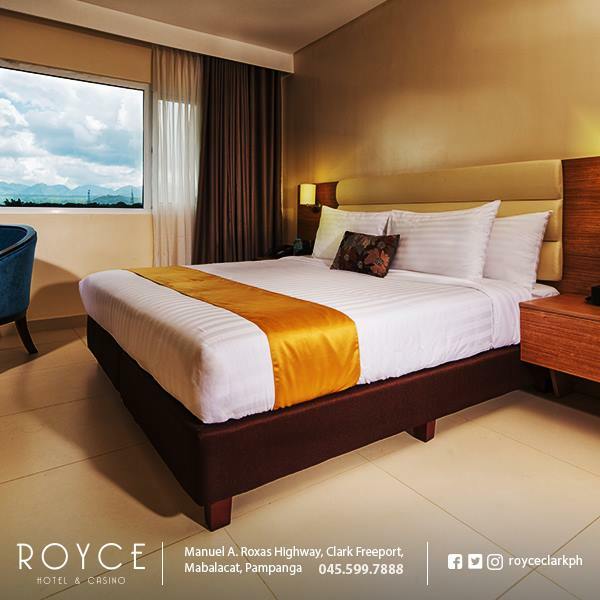 Royce Hotel and Casino is just located along Manuel A. Roxas Highway at the Clark Freeport, a new lifestyle hub that's an hour or two from Manila. 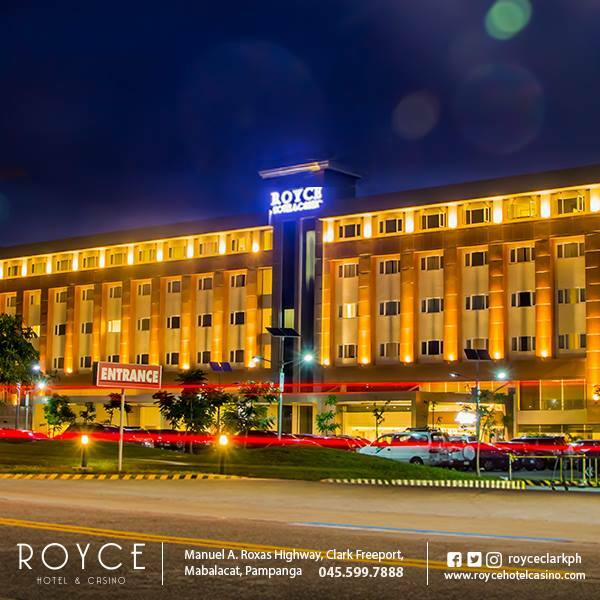 Royce Hotel has 202 well-appointed rooms, business centers perfect for productive meetings, a grand hall that can fit more than 1,000 guests, a vibrant casino area, and a fine selection of dining establishments. Whether you're a group of friends, family or just wanted to have a relaxing me-time. There's a perfect room for every guest starting with a Junior suite. They have accommodations that can fit two guests, and larger suites that can house bigger groups. 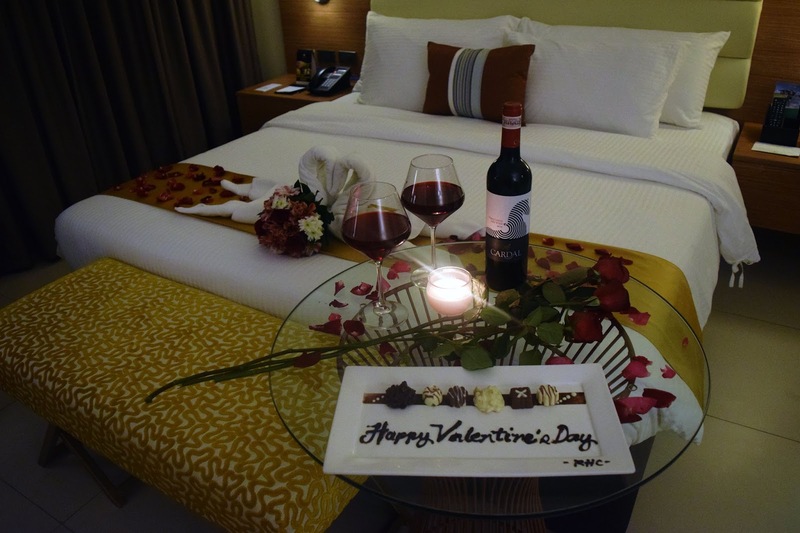 Once checked-in, you can request for in-room massages and dining – all while enjoying a beautiful and private space just for you and your loved ones. Good food is another thing we, travelers look forward to when vacationing. The food at Royce is nothing short of cosmopolitan, with recipes and dining experiences inspired from all over the world. They also showcase a touch of local flair, featuring Filipino and Kapampangan Favorites in their offerings. Café Majestic is their newest culinary spot with its menu comprised of novel twists on Asian dishes. The Lounge is the go-to place for sumptuous buffets. The Empire Bar and Lounge’s food and refreshments are perfect for enjoying a night out. Amare by Chef Chris is already a local culinary legend, frequented by diners searching for Italian soul food. I'm looking forward to spending one of the summer days #OnlyAtRoyce. 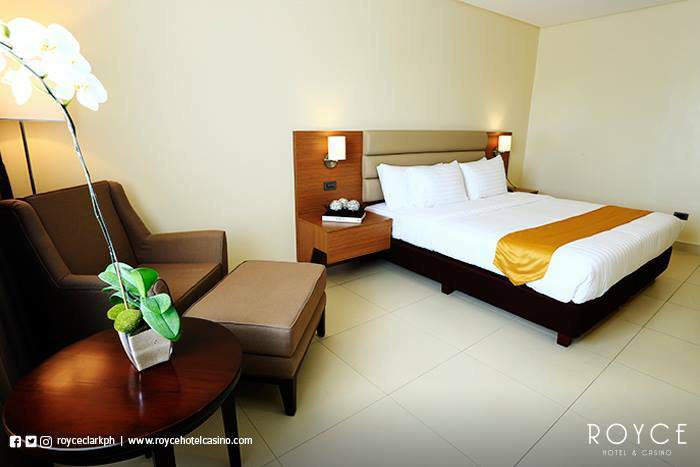 Stay tuned as I share to you my personal experience at Royce Hotel Clark.